Apart from the necessity of fulfilling the requirements of the General Data Protection Regulation which has to be completed by 25th May, I have been pondering on other advantages of complying with the GDPR. Here at Talking Mats we are all going through files, bagging up paper for shredding, deleting data files on our master computer and preparing text to send to all our customers and contacts to make sure we only hold information that is adequate and relevant.The first advantage for us is that it’s a good way to re-establish contact with people. I’ve been given the task of going through all the research data and have ploughed through 16 drawers of research data starting in 1992! Way back then I worked with a wonderful professor who was keen to hold onto all our raw data just in case we wanted to check or replicate anything. Its all been under lock and key but the time has come to bite the bullet and get rid of it. I found this to be not only nostalgic but also emotional – all those fantastic participants who gave us their time and insights. Its also been cathartic because as well as filling bags for shredding I am smashing up discs of video footage. We filmed lots of people with a range of communication difficulties using Talking Mats to compare with the same conversations without Talking Mats to analyse any differences. So… another big advantage is that I’ve destroyed all evidence of my dodgy hair cuts throughout the years!! 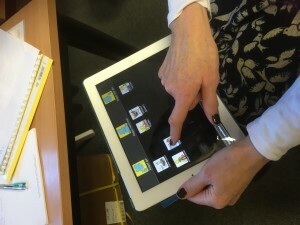 I counted 41 completed projects going from the very first one in 1992 which was a demographic survey of people who used AAC (Augmentative and Alternative Communication) systems in Scotland. 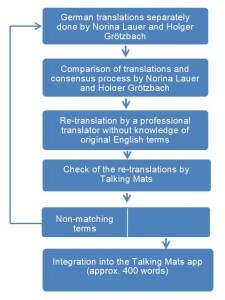 In 1998 the Gannochy Trust funded the original project where Talking Mats was born Gannoch Final report. We then went on to carry out a wide range of projects which include working with people with Motor Neuron Disease, Stroke, Learning Disability, Children with Additional Support Needs, people living with Dementia to name but a few. The website contains the final reports on all our projects and in looking back at them I am also very proud of the good quality research the team here at Talking Mats has carried out. 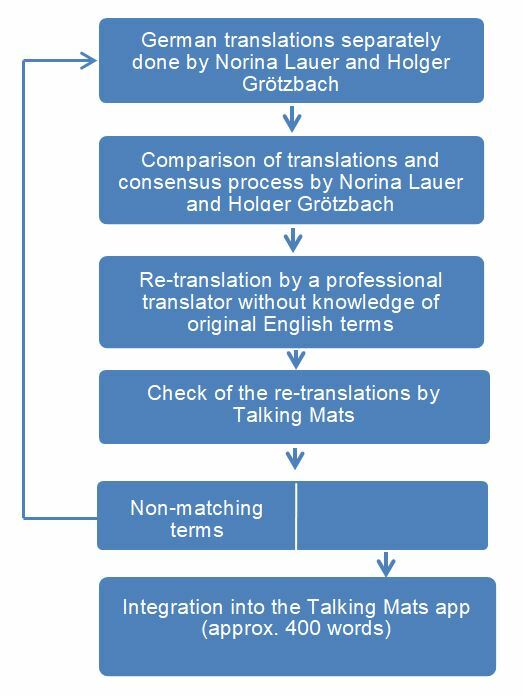 Many others are now doing projects using Talking Mats but I leave it to them to organise their own GDPR and hope they also find the process worthwhile and rewarding and not just seen as a chore to be done. This entry was posted in Blog, Research and tagged Research, Talking Mats on February 16, 2018 by Joan Murphy. We are delighted to have Celine Josephine Giese, a 4th year psychology student from the University of Stirling, on placement with us. As part of her placement she has to write a series of blogs which she has kindly shared with us. This is the first in the series. 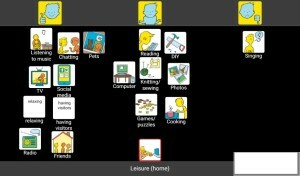 Talking Mats is a social enterprise, that has developed a unique communication system that aspires to improve quality of life for people who struggle to communicate effectively, such as people with a learning disability or a stroke as well as people who have dementia. People who are affected by communication barriers have difficulty articulating their needs, emotions and wishes, which can be particularly challenging for carers and clinical practitioners. 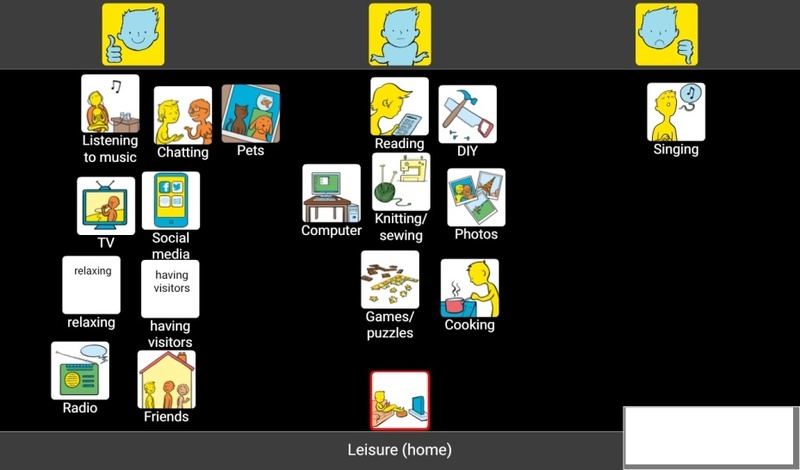 The interactive communication tool consists of an actual doormat and different sets of communication symbols that are placed on the Talking Mat. The communication symbols represent a scale from positive, medium to negative. 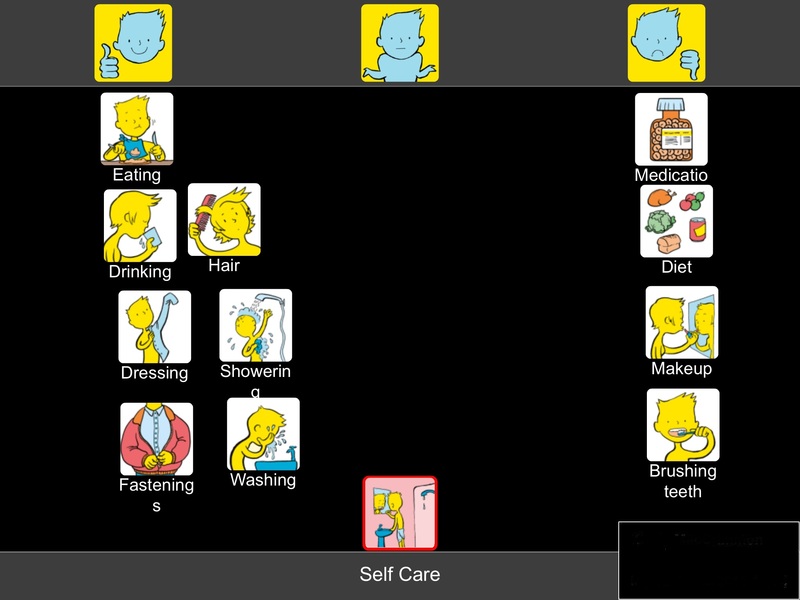 Specifically, designed topical image sets are used to communicate how the person feels about activities, eating, support and so forth. 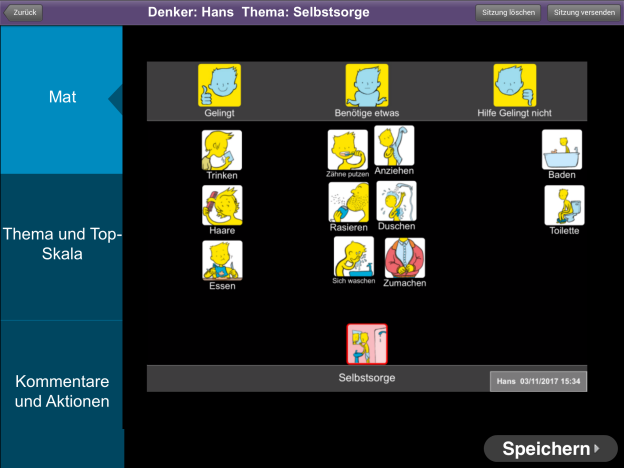 In addition, they also developed a digital app version. 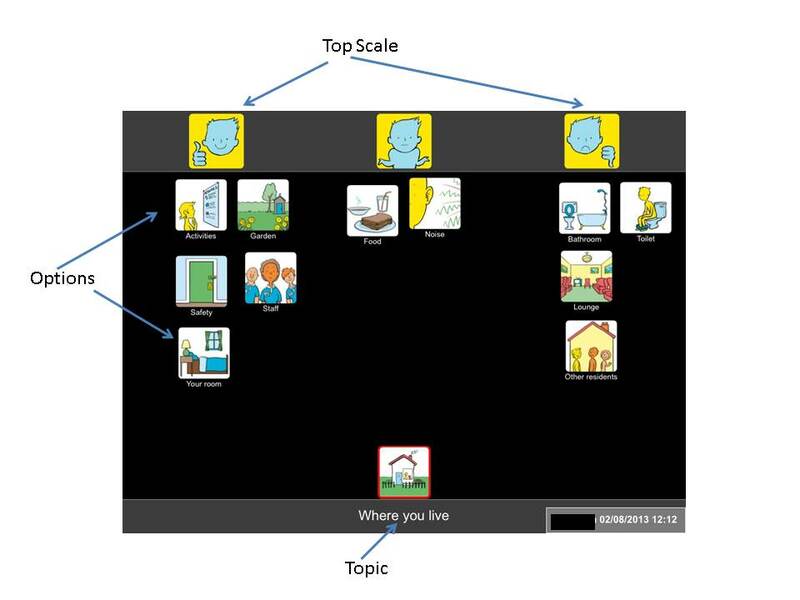 Talking Mats simplifies the communication process by breaking down information into small manageable chunks without the need for literacy. 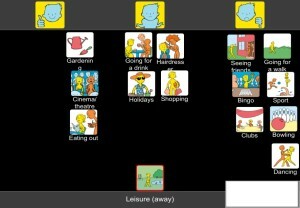 A range of training courses are offered to help individuals to use Talking Mats effectively. The first day I arrived I was excited as I have not worked in an office environment before. In advance of the meeting I read a lot about their concept and ongoing projects to demonstrate my enthusiasm and interest. I was introduced to the team, who were all very kind and welcoming. During the first meeting, I was introduced to their communication system via a Talking Mat with a general interests’ topic to get to know me better. This was a great way to understand and see how their system works in action. We also filled out the placement agreement and discussed the project I will be involved in. My role involves supporting Talking Mats in the analysis and impact of the training. For this I am looking at recorded Talking Mat outcome stories from trainees as part of a large-scale project in London Health Authority. I am recording specific details of the stories in an excel spreadsheet, such as the outcome for the patients which will aid the further development of Talking Mats and give feedback to the funders on their investment. Moreover, this analysis will shed light on the bigger impact Talking Mats has on the communication between patients and their carers. The analysis will be useful in determining the impact Talking mat has on the person whose mat it is and on who used the mat i.e. the interviewer. In addition, it will provide evidence to the organisation of the effectiveness of using Talking Mats. My involvement in the thematic analysis will allow me to further develop excel skills and experience an office setting in a social enterprise, while expanding my knowledge on its origins, current use and future direction potential. Because the cases disclose patients’ personal details I have signed a confidentiality agreement. I look forward to learning more and contributing to the project as well as working with the team. The atmosphere is both pleasant and inspirational and I admire the concept of the enterprise and I feel privileged to be part of such a life changing organisation. Celine’s second blog will be posted soon. This entry was posted in Blog, Research and tagged Communication difficulties, Research, Social Enterprise, Talking Mats on March 1, 2017 by Joan Murphy.